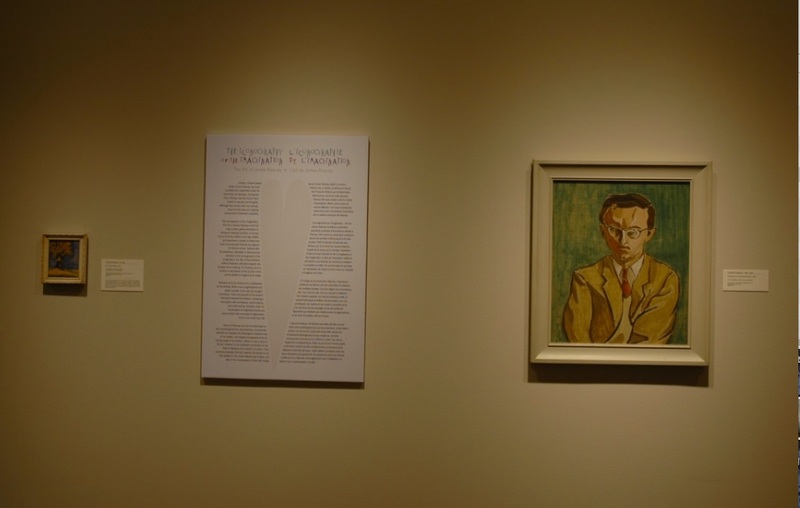 London, Ontario-based James Crerar Reaney has been a prolific and celebrated writer for more than six decades. During this time, Reaney has also found other means to express his thoughts. 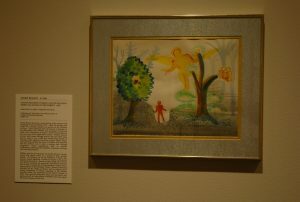 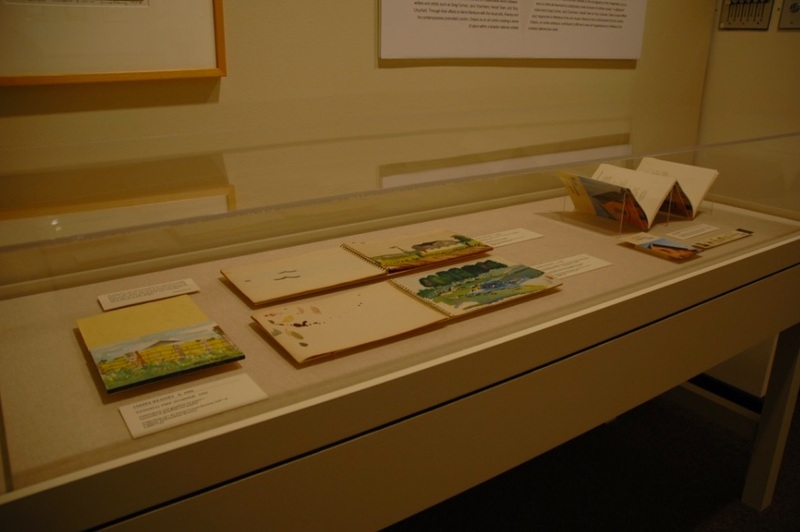 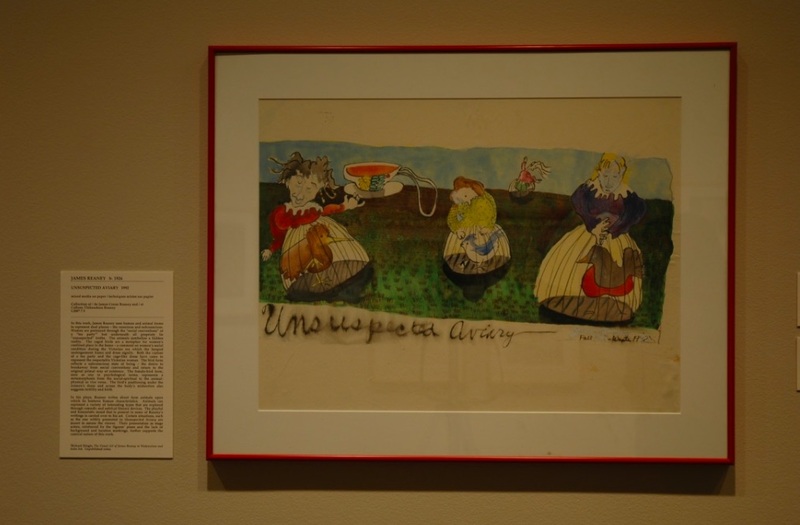 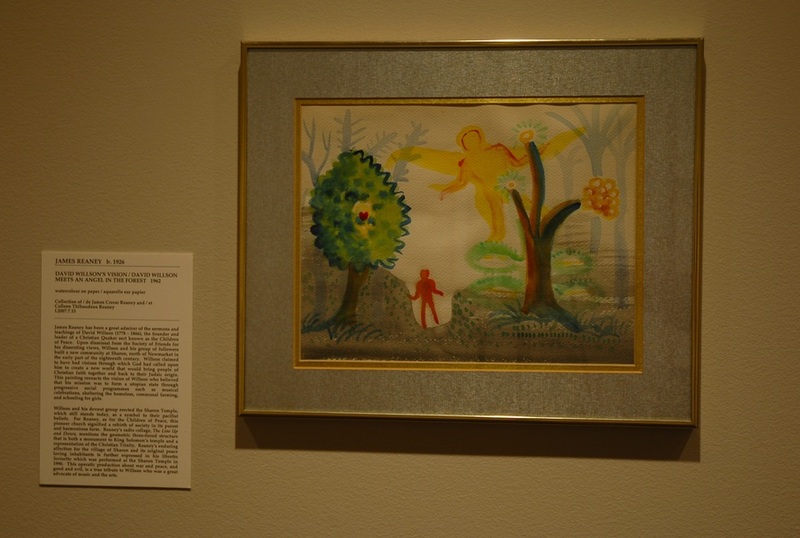 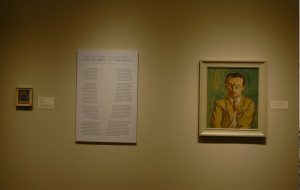 Although less known than his writings, visual art has been an ongoing component of Reaney’s creativity. 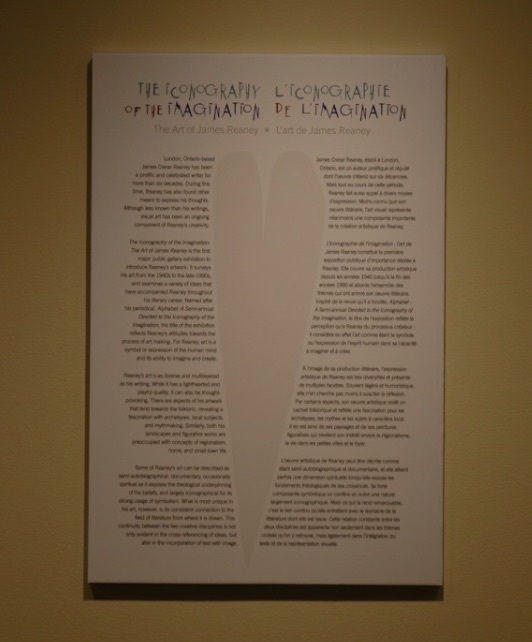 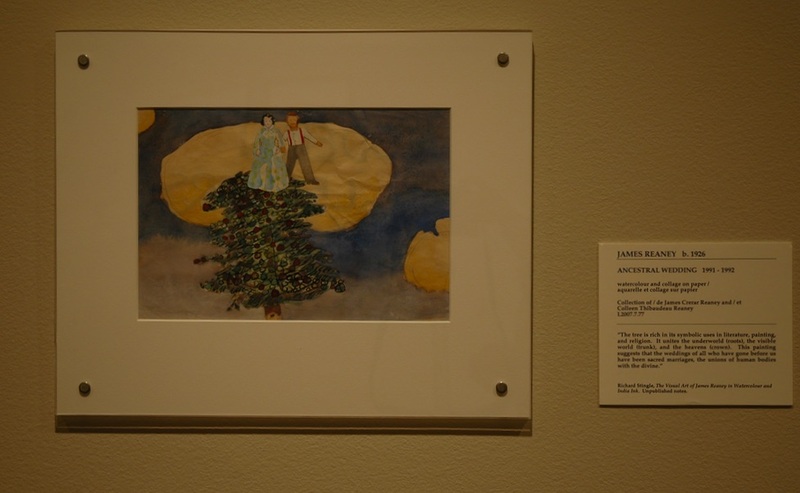 The Iconography of the Imagination: The Art of James Reaney is the first major public gallery exhibition to introduce Reaney’s artwork. 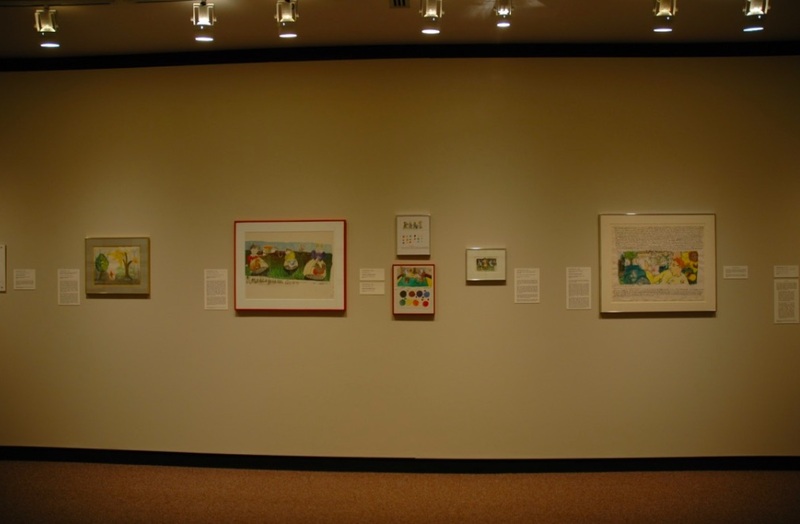 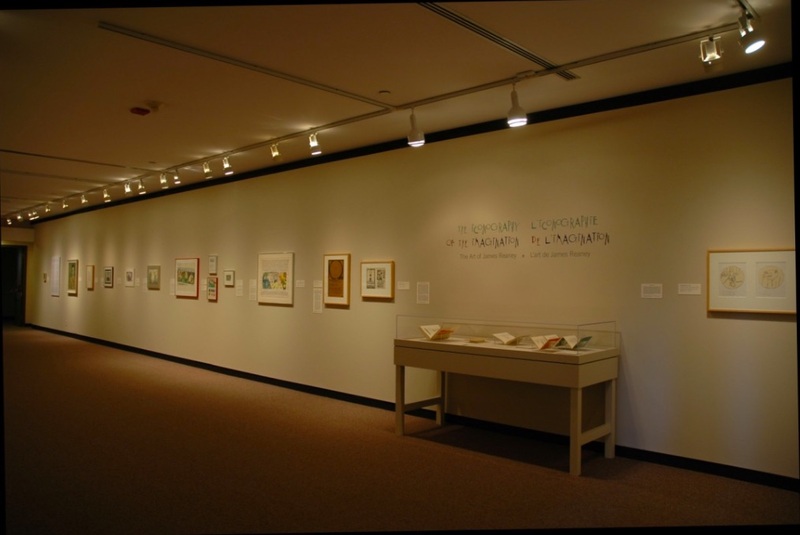 It surveys his art from the 1940s to the late 1990s, and examines a variety of ideas that have accompanied Reaney throughout his literary career. 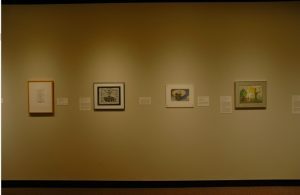 Named after his periodical, Alphabet: A Semi-annual Devoted to the Iconography of the Imagination, the title of the exhibition reflects Reaney’s attitudes towards the process of art making. 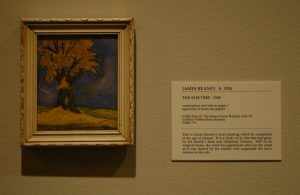 For Reaney, art is a symbol or expression of the human mind and its ability to imagine and create. 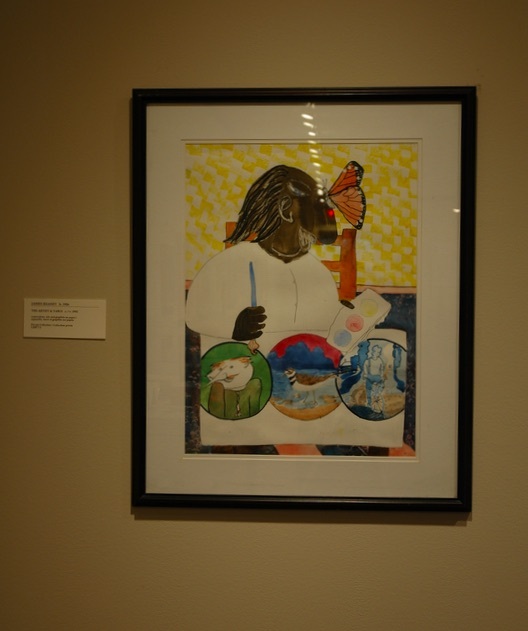 Reaney’s art is as diverse and multilayered as his writing. 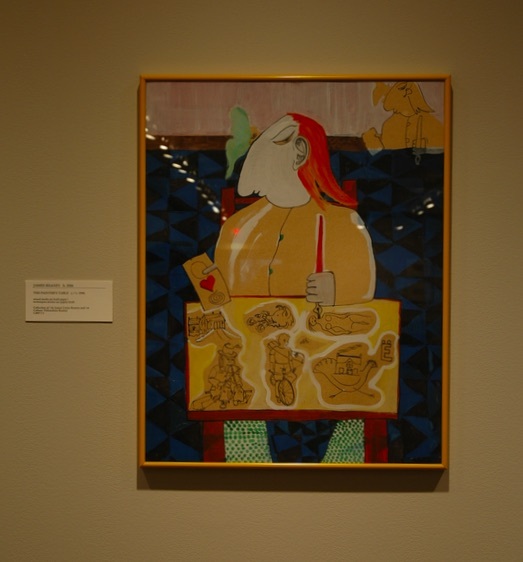 While it has a lighthearted and playful quality, it can also be thought-provoking. 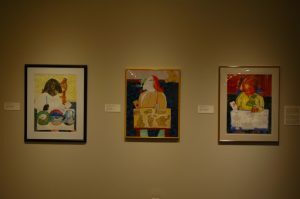 There are aspects of his artwork that tend towards the folkloric, revealing a fascination with archetypes, local subjects, and mythmaking. 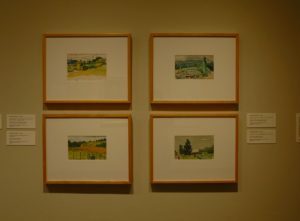 Similarly both his landscapes and figurative works are preoccupied with concepts of regionalism, home, and small town life. 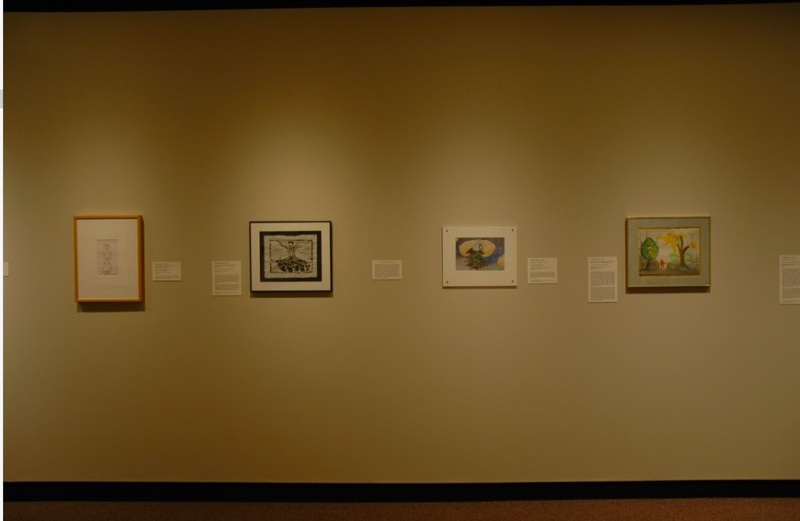 Some of Reaney’s art can be described as semi-autobiographical, documentary, occasionally spiritual as it exposes the theological underpinning of his beliefs, and largely iconographical for its strong usage of symbolism. What is most unique in his art, however, is its consistent connection to the field of literature from where it is drawn. 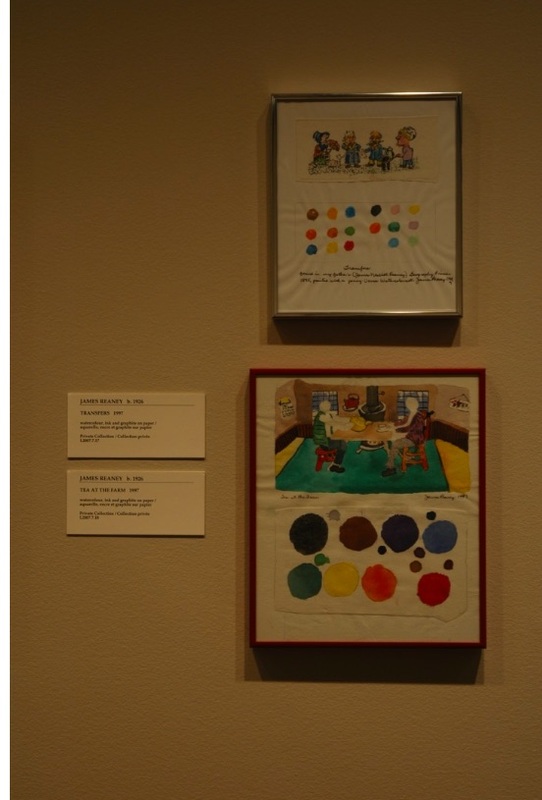 This continuity between the two creative disciplines is not only evident in the cross-referencing of ideas, but also in the incorporation of text with image. 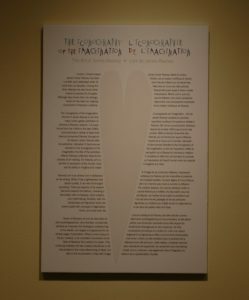 Note from Susan Reaney: This text was written by Tom Smart, Director at the McMichael Canadian Art Collection, 2006-2010. 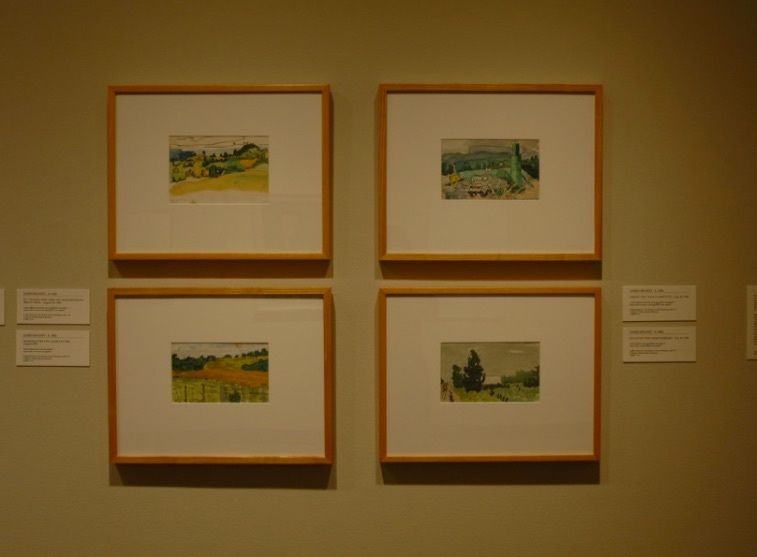 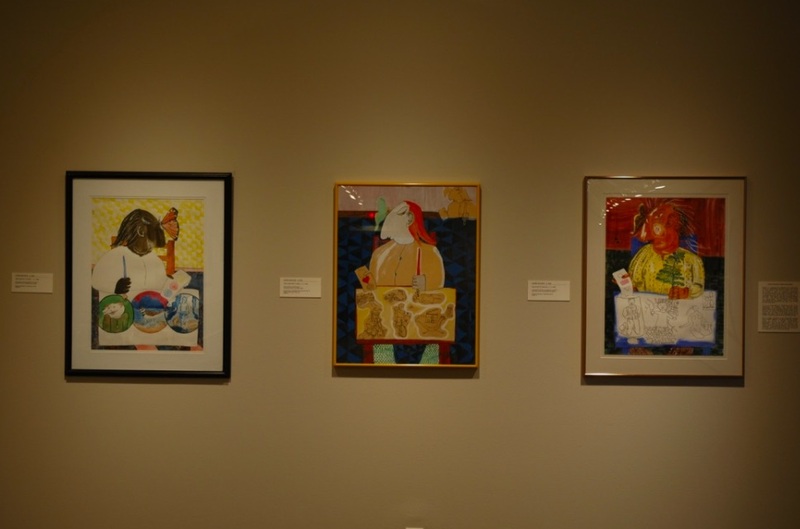 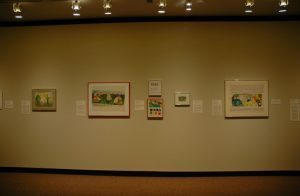 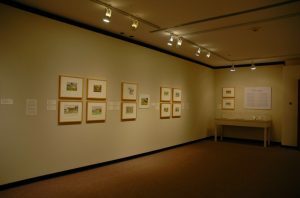 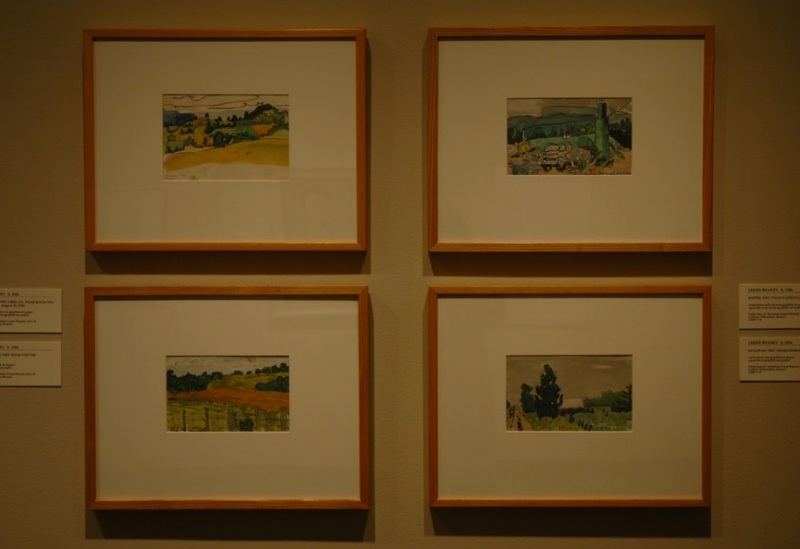 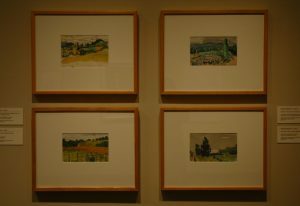 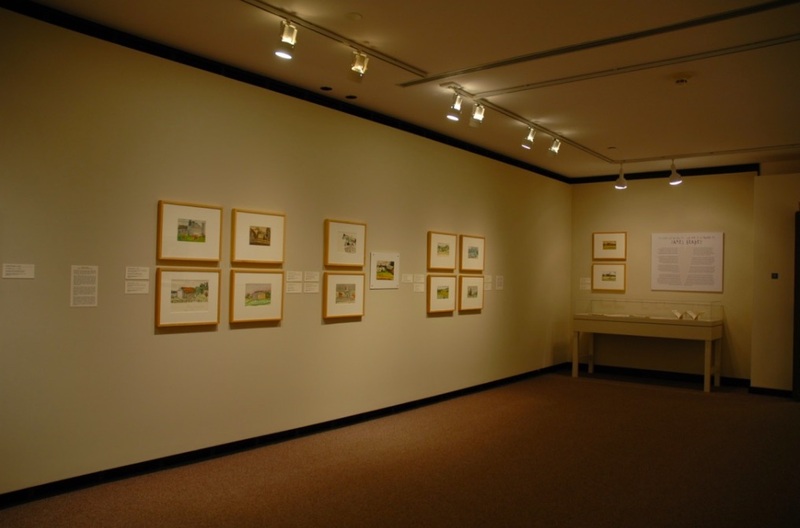 The images below were taken by Linda Morita, Librarian and Archivist at the McMichael Canadian Art Collection, and are used by permission. 〈〈〈 ♦♥♦ 〉〉〉 To view the images in sequence, go to the large featured image at the top of this page and then click on the left and right arrow keys. 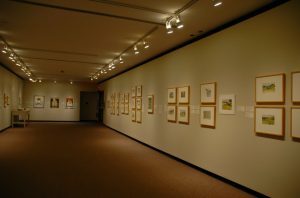 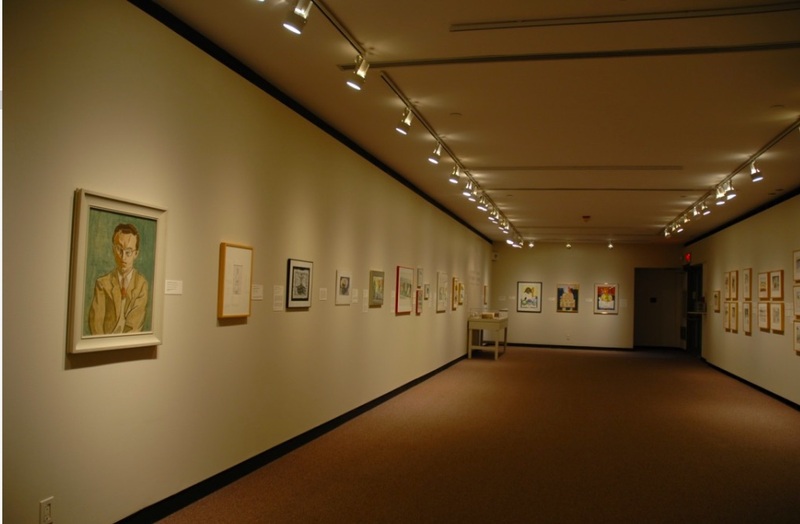 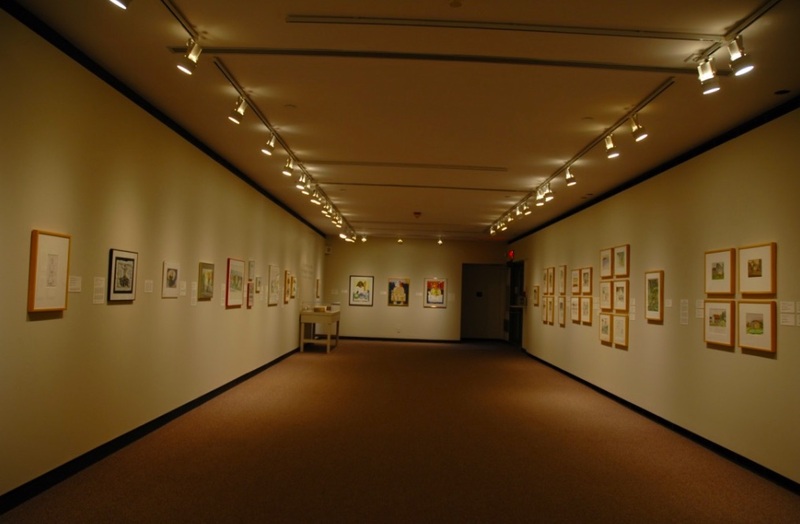 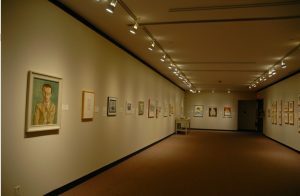 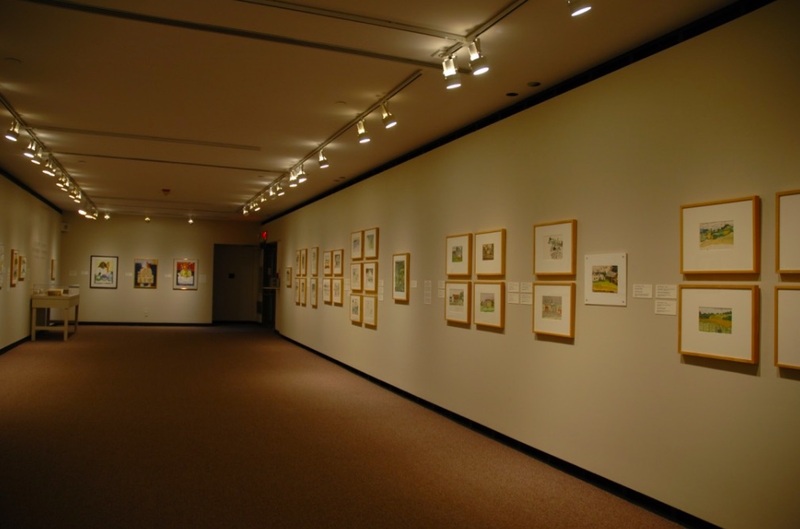 Photos courtesy of the McMichael Canadian Art Collection. 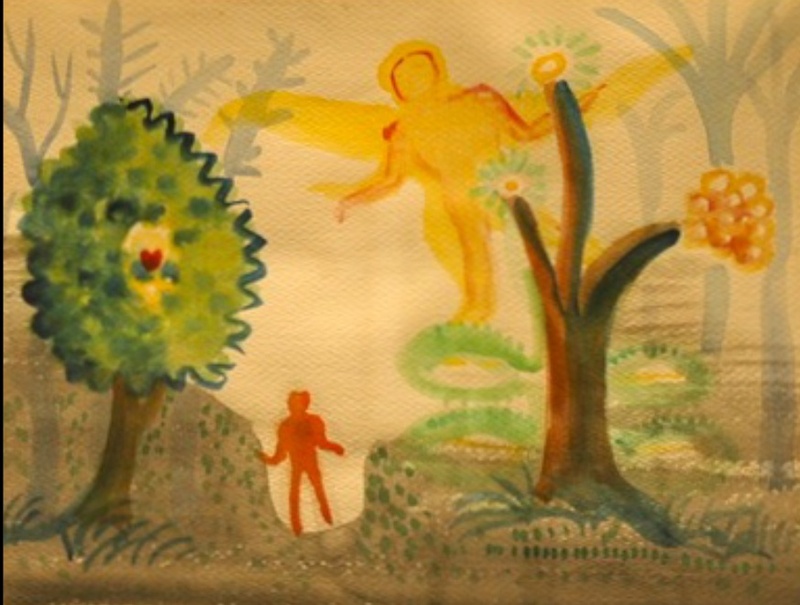 Thanks, Paul — getting there!